"Going forward, access to Nigeria's markets must no longer be for free. No free market access! Investors, who seek market access in Nigeria to sell their goods and services, must invest and connect to our industrial and manufacturing activities." 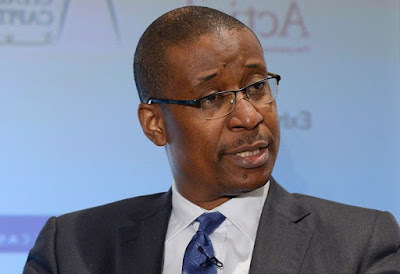 Dr. OkechukwuEnelamah, the country's Minister of Industry, Trade, and Investment, stated this when he launched the First Edition of the "Nigerian Annual Trade Report" (NATPOR) in Abuja. According to the Minister, there are key lessons that we are drawing. Nigeria must be more innovative, more enterprising and more aggressive in the use of trade, investment, technology and the abundant intellectual property of creative Nigerians to grow the economy, enhance the welfare and diversify the Nigerian economy away from primary commodities. "We must negotiate better than we have done so far, so that investors who seek market access in Nigeria, must link their investments to industrial activities to enable the creation of regional and global value chains. We must be more creative in making the trade and investment count for growth, diversification, modernization and job creation in the Nigerian economy," he said. He said that going forward, "In 2018, the goals and priorities of Nigeria's trade relationships is to dynamically scale up action to push for trade and investment facilitation for growth, development and job creation, as well as use trade, investment and associated areas to accelerate growth, modernize and diversify the economy and expand employment opportunities for approximately 2 million Nigerians entering the labour market, annually. "In 2018, it is expected that the African Continental Free Trade Area (AfCFTA) will be adopted and the Single Market for Trade in Goods and Services launched. We shall invest time and effort in the implementation and work hard to connect the market opportunities from the AfCFTA to industrial activity in Nigeria. The objective is to create value chains that connect regionally and globally, bolted into Nigerian producers of goods, service providers, and industry. The intended outcome is to grow the domestic market and also connect it, profitably, to regional, continental and global markets. In preparation for the historic and unprecedented AfCFTA, there shall be a Nigeria-wide Sensitization Workshop on the AfCFTA Agreement, so that and given particular attention to sensitizing Nigerian businesses and corporations to take advantage of the new opportunities and market access that the Continental Free Trade Agreement (CFTA) will herald. "In 2018, attention shall be accorded to deepening regional integration in ECOWAS. The Nigerian Office for Trade Negotiations (NOTN) will focus on engaging with the other Member States to drive much-needed reforms needed to deliver on the economic integration agenda of ECOWAS based on the sovereign dynamics of ECOWAS Member States, as well as preparing the ECOWAS sub-region to maximize the benefits of the AfCFTA. In 2018, Nigeria will negotiate strategic relations with notable trading partners using agreed 21st-century templates for Nigeria's Trade Agreements," he said. He noted that as the Number One economy in Africa, Nigeria shall do what is required to grow the Nigerian economy and use trade, investment, and technology as engines of growth, while contributing to mutually profitable business relationships, and prosperity in a rules-based global economy. "This report is an invitation to Nigeria's trading partners and businesses to join hands with the Government in the reconstruction, modernization, and growth of the Nigerian economy."